Your home is probably your most significant investment like it is for most people. Keeping up with regular maintenance is essential for protecting that investment and home maintenance software is the ideal tool for this. Home maintenance isn’t a simple task, since you need to keep a close eye on several aspects. In order to make this task a bit simpler, we want you show a couple of tools that might help you out. We picked five of the most useful home maintenance programs to make your choice less challenging, and we recommend that you check out their features before deciding on which one is the best for your needs. The first entry on our list is Home Zada, and with this tool you’ll be able to improve the value of your overall home, to avoid early replacement costs and to keep your home both healthy and safe by staying in control of its maintenance at all times. 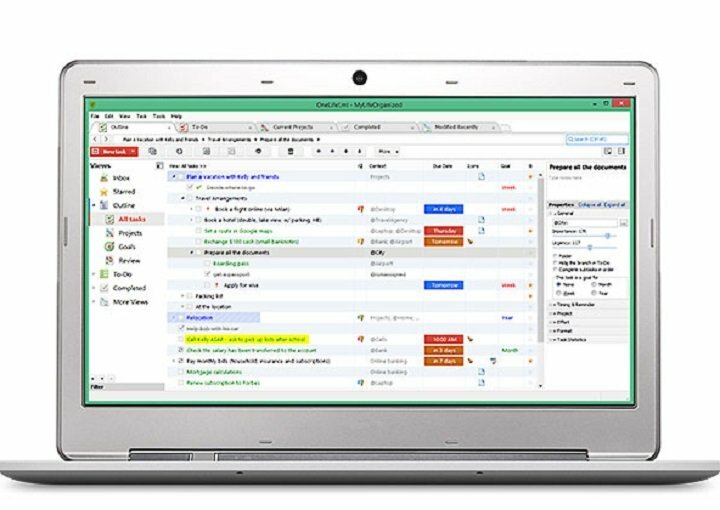 This tool comes with a property calendar that is automatically created for you, and that includes all essential tasks. A smart engine will automatically create individual To Dos that are based on your personal preferences. 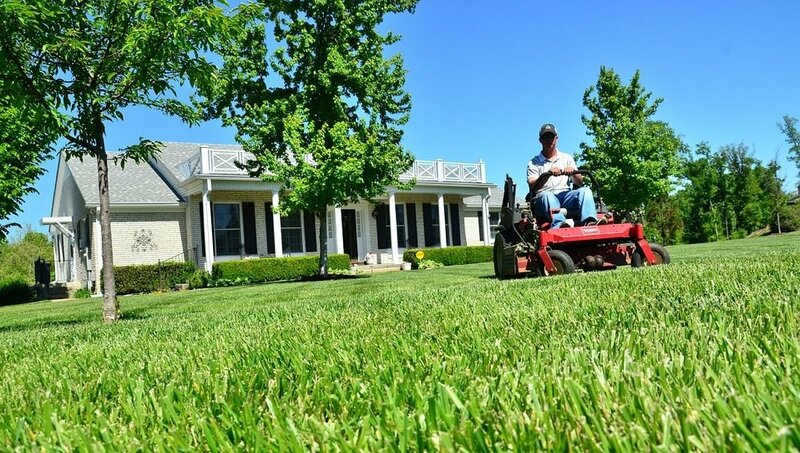 You can personalize your maintenance schedule based on your preferences and home. You will never forget again what needs to be done with the help of email reminders and online alerts. The curated “How to” information is offered by the program’s library of seasonal checklists. You will be able to track all your costs, photos and documents for minor repair projects. You can integrate your property calendar with Gmail, Hotmail, and Outlook among other online tools. You can share your home maintenance schedule in a Zada Listing when you sell your home. With the help of Zada software, you will be able to save on utility costs and improve your home’s value. Start using Home Zada on its official website. 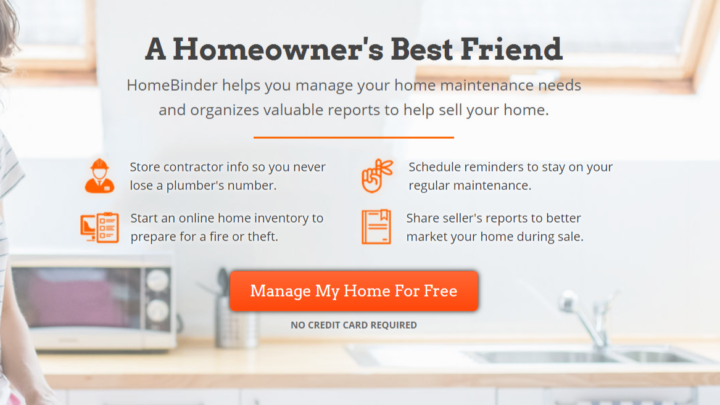 Another great home maintenance tool is HomeBinder. Using this tool you can manage your home maintenance needs, and it will also organize your valuable reports if you want to see your home. You can store the contractor information so that you will never lose a plumber’s number. You will be able to schedule reminders to stay on your regular maintenance. HomeBinder allows you to store photos, material information and project costs for easier repair and tax decreases at a potential sale. You can keep your model numbers, warranty information and user manuals online if you need them. You can schedule email reminders for regular home maintenance needs including air filters for instance. HomeBinder will notify you of any company recalls for products in the house. You can start an online home inventory to prepare for a fire or theft. Using this tool, you will be able to share the seller’s reports to market your home better during the sale process. You can share a maintenance guide with your potential buyers. Check out the complete list of exciting features offered by HomeBinder on its official website. This is another reliable home management application that is able to help you protect your home and possessions as well. Home Management Wolf makes it easy to manage your home and properties. This tool is easy to learn and simple to use as well. This software includes a home inventory and asset tracking tool for one or multiple residences. Home Management Wolf tracks home maintenance, repairs assessment value, mortgage payments and much more. The program is able to analyze finances to help you know where your money is going. It also stores home warranty and insurance information as well. You will be able to save any type of document of mortgage contracts, renters insurance and more for having them as quick references. This tool will allow you to create a to-do list for every home. You will be able to save receipts and invoices for any item. This tool comes with auto backup options and lifetime free upgrades. Home Management Wolf tracks the value of all your assets, and it categorizes and saves all kinds of detailed data on everything that you own. You can import unlimited digital photos to log all your valuables and assets. Check out the full detailed list of features that come with Home Management Wolf and download the tool from the official website. The Complete Home Journal is a simple but powerful application allows you to quickly track, maintain and manage any improvements made to your home. You will be able to track improvements made to your home. You can keep a complete inventory of everything that is in your home either by room or by other categories. You will be able to create detailed reports for your home journal and inventory information which can be an invaluable tool for home resale. This software will turn out to be really helpful also for insurance purpose in case of loss. This software allows users to track multiple homes and it is perfect for recording the details of a new construction project as well. The Complete Home Journal package comes with the Interior, Exterior, and Mechanical Home Journals and besides these, you will also get the Home Purchase Journal, To Do Lists, and Contact Manager. Images taken from your digital camera can be stored for your home inventory and journal entries. You can go to the official website of The Complete Home Journal and check out more features of this impressive software. 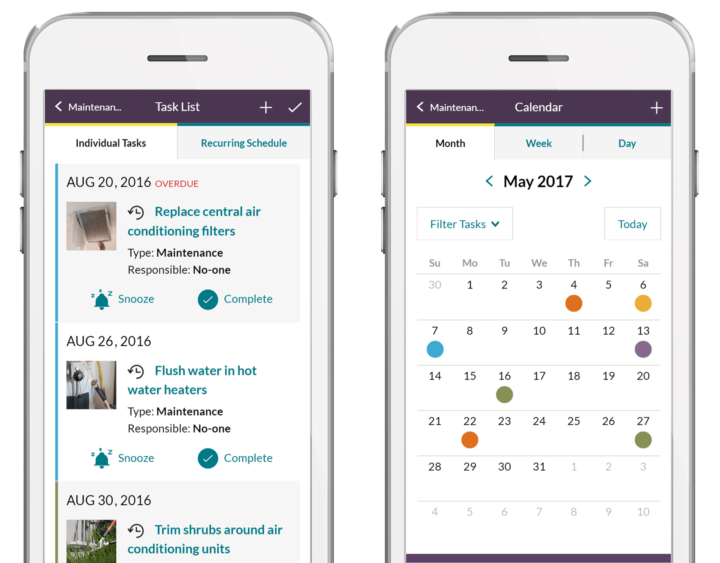 If you’re looking for a powerful task management tools for your home, this might be the perfect application for you. This tool is compatible with Windows. You can create new tasks and To Do lists easily. An elegant To Do list will help you focus on the essential items and also act accordingly on the spot. MyLifeOrganized comes with a clean and straightforward interface that allows you to rearrange tasks within a plain list. You can also organize the tasks into a tree. To Do lists will turn out great and you will also be able to create subtasks as well. You can create flexible hierarchical lists and add all kinds of dependencies between them. MyLifeOrganized provides the right information in the perfect spot, and it is designed to send you smart reminders. This tool is more than just a home management software because it can also take care of your tasks that are outside of your home. For instance, when you are at the mall, MyLifeOrganized can send you a notification with a shopping list. After you get home, a reminder with a list of actions will wait for you there as well. 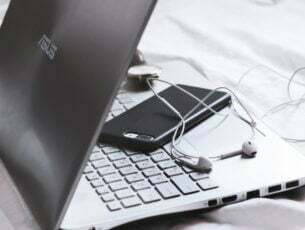 MyLifeOrganized can also sync across all your devices, and you will always be on top of your tasks. 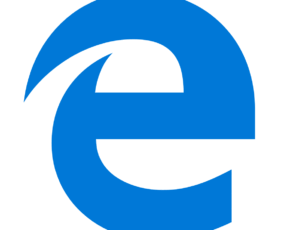 Check out more impressive features of this tool and get MyLifeOrganized for Windows from the official website. This is where our top choices for best home maintenance software comes to an end. These programs come with their own set of unique features, and most of them are targeted for maintaining and managing your home and assets. They also provide features for inventories and for making To Do lists to make your life easier. These tools are compatible with Windows. After you check out their complete features, decide which one if the best for you and your home’s needs.